This hat was worn to the Kentucky Derby 2014 & below is the really kind message that was sent with the pictures.. 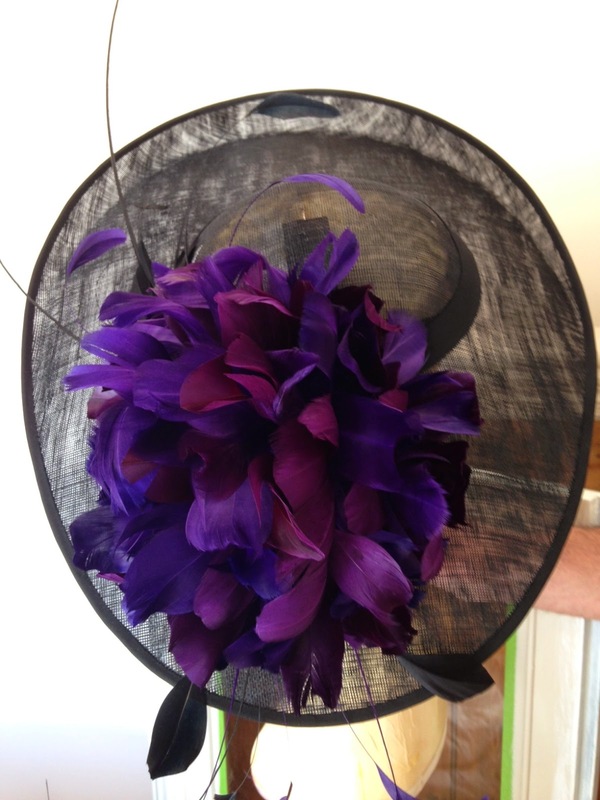 I wanted to send you a few photos from the derby. 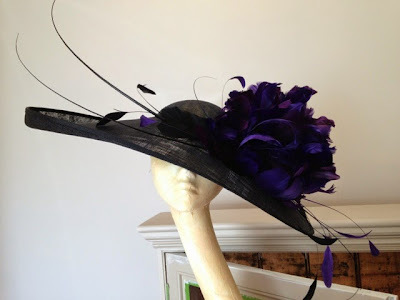 Your hat could not have looked more beautiful. Thank you so much for making it for me and for getting it to me on time. 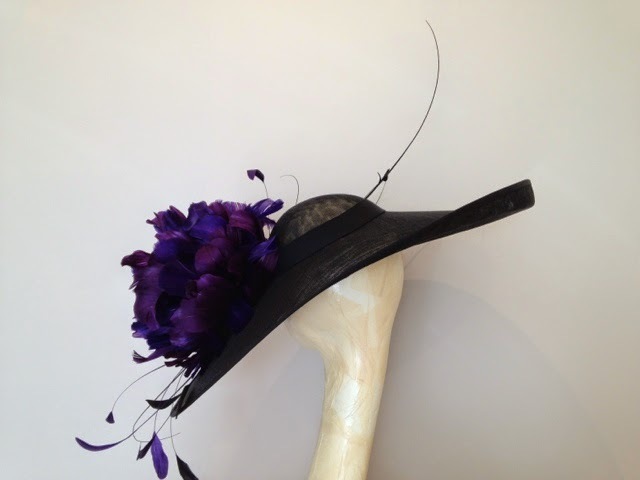 You are an incredible milliner! Thank you for taking the time to send me this. 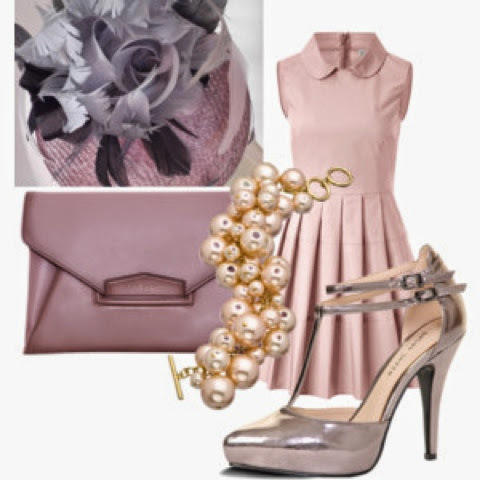 Perfect for a Summer Wedding.. 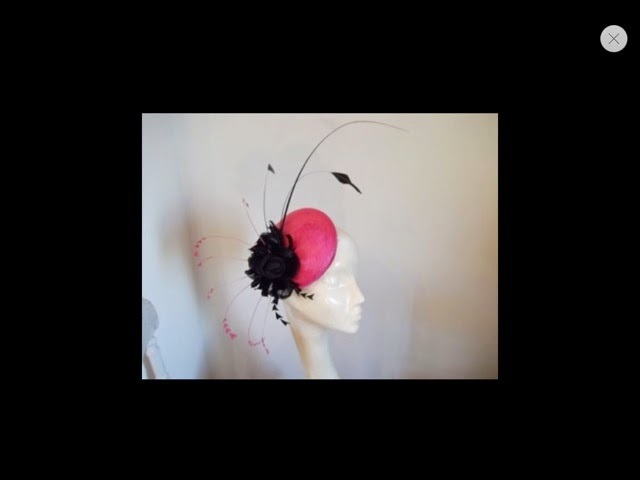 This Hot Pink Straw Pill Box Hat with Black Feather Flower had a Grand National outing!!! 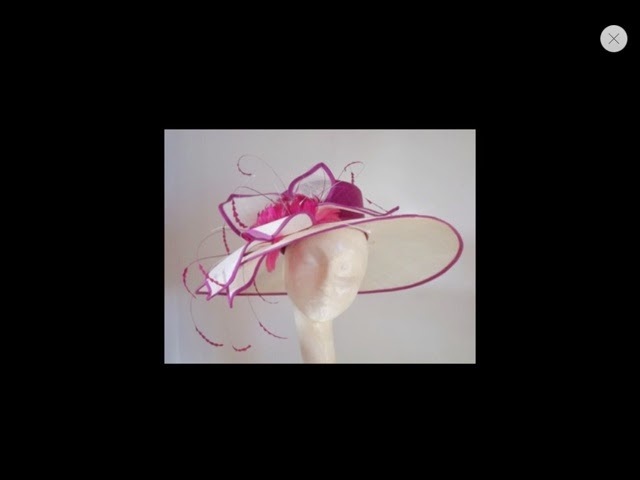 This Pale Pink Lilac Pill Box Hat with a Grey Silver Rose has gone to a lovely lady in Liverpool, to be worn to her best friends wedding in June. 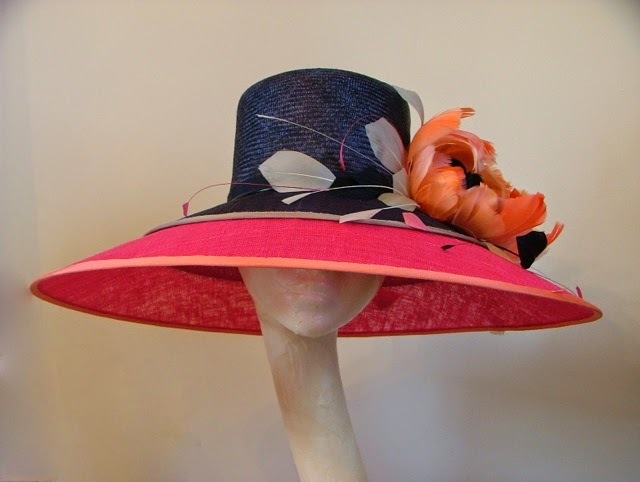 I hope it's a lovely sunny day for it. Many thanks for your order.. 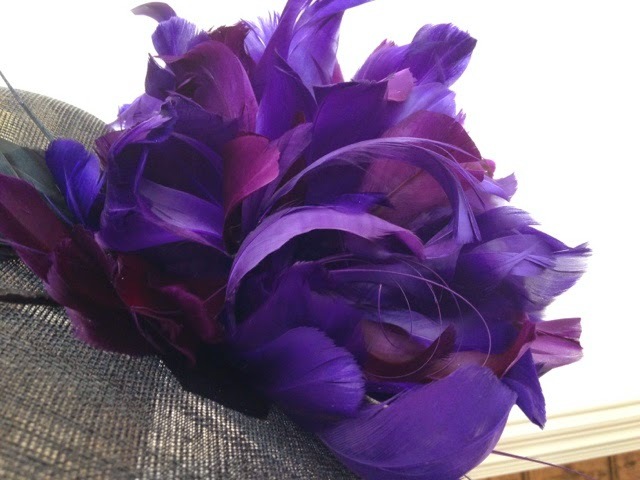 This bespoke Black Hatinator with oversized mixed purple feather rose & quills will be worn to a horse racing event here in the UK... This has been made to match the clients dress & shoes etc.. 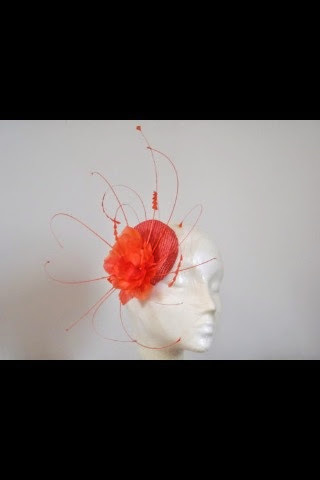 This Orange Pill Box Hat is now on it's way to Deal, Kent. I wonder if it will be for a wedding or the races? 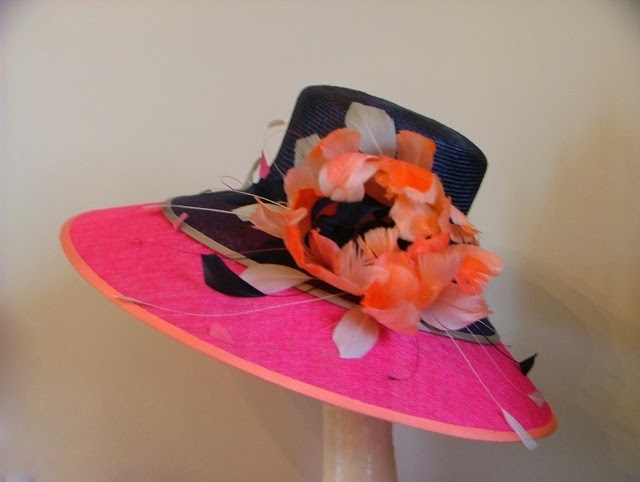 This Navy, Hot Pink, Coral & Taupe colour block hat is now on it's way to Kentucky for a Derby outing..